Academic Studies Press, 9781934843710, 364pp. The astonishing revival of saint worship in contemporary Israel was ignited by Moroccan Jews, who had immigrated to the new country in the 1950s and 1960s. The book charts the vicissitudes of four new domestic shrines, established by Moroccan-born men and women in peripheral development towns, following an exciting revelation involving a saintly figure. 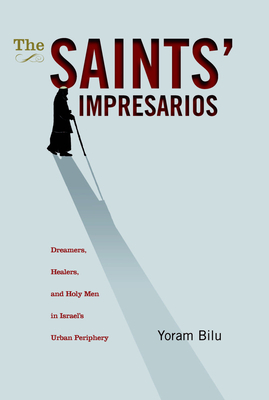 Each of the case studies discussing the life stories of the "saint impresarios" elaborates on a distinctive theme: dreams as psychocultural triggers for revelation; family and community responses to the initiative; female saint impresarios as healers; and the alleviation of life crises through the saint's idiom. The initiatives are evaluated against the historical background of Jews in Morocco and the sociopolitical and cultural changes in present-day Israeli society. For readers interested in Israel and Jewish Studies, folk religion and mysticism, cultural and psychological anthropology, and Moroccan Jews. Yoram Bilu (Ph.D. Hebrew University) is a professor of anthropology and psychology at the Hebrew University. His main publications include Grasping Land: Space and Place in Contemporary Israeli Discourse and Experience (SUNY Press 1997, co-edited with Eyal Ben-Ari) and Without Bounds: The Life and Death of Rabbi Ya'aqov Wazana (Wayne State University Press 2000).